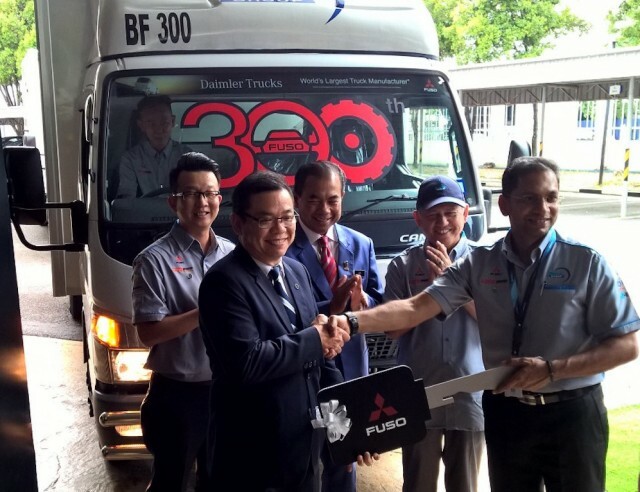 Mercedes-Benz Malaysia Commercial Vehicles (MBM CV) the authorised distributor of FUSO trucks in Malaysia, today officially marked the delivery of the 300th FUSO truck to Biforst Logistics Sdn Bhd, a leading one stop logistics solutions provider. 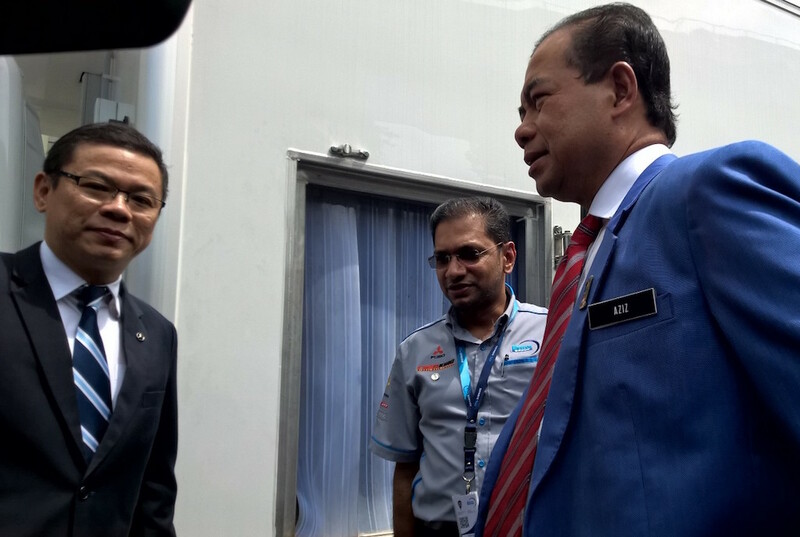 At the same event, both parties also signed a Memorandum of Understanding (MoU) to formalise Biforst Logistics’ commitment to purchase the first electric-powered truck in Malaysia, the FUSO eCanter upon the vehicle’s availability in Malaysia. A FUSO customer since 2006, Biforst Logistics’ fleet of trucks include the FUSO Light Duty Truck models, FE71PB, FE83PE, FE83PG and FE85PG which are commonly used for short distance distribution, inter-state logistic transportation, and FUSO medium duty truck model, FM65FM and Mercedes-Benz Actros for long distance logistics. MBM CV’s authorised 3S dealer, Bumi Asia Auto Sdn Bhd, provides vehicle sales, complete after-sales support and vehicle maintenance for Biforst Logistics’ fleet. “Given the nature of our business, we need to ensure maximum up-time of our fleet. MBM CV is a natural first choice for us as they have a deep understanding of our need for safety, reliability and economic efficiency. As a result of our robust business growth we need trucks which are dependable, and have plans to further increase our FUSO truck fleet over the next few years,” said Biforst Logistics Group Managing Director, Mr Hamie Appala. 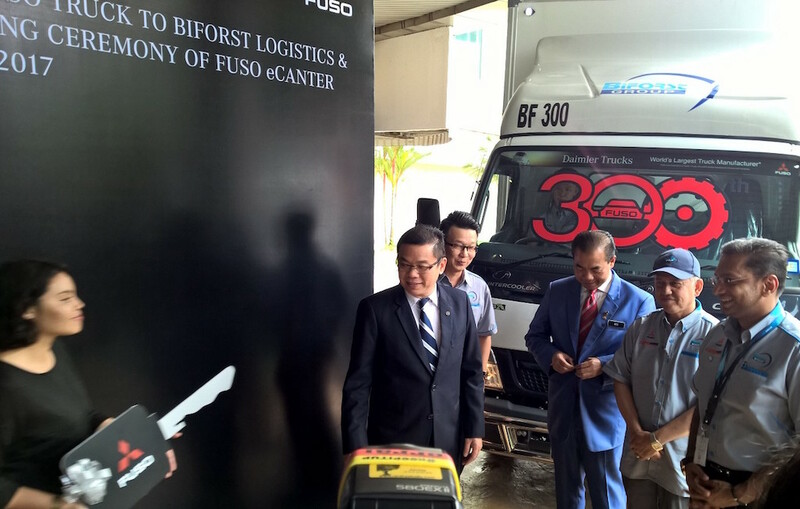 The delivery of the 300th FUSO truck was followed by the signing of a MoU between Mercedes-Benz Malaysia Sdn Bhd and Biforst Logistics Sdn Bhd to formalise Biforst Logistics’ intent to become one of the first Malaysian companies to purchase the electric-powered FUSO eCanter upon the vehicle’s availablity in Malaysia. Unveiled at the 2016 International Motor Show (IAA), the FUSO eCanter truck is the brand’s first electrically-powered light duty truck, a zero-emission drive that offers economic efficiency and an attractive alternative to diesel engines. Suitable for urban transportation and short radius distribution, the FUSO eCanter has a battery modular concept that allows flexibility for customers’ needs. Designed for comfort and functionality, customers can opt between more battery packs resulting in more mileage; or less battery packs but greater payload. 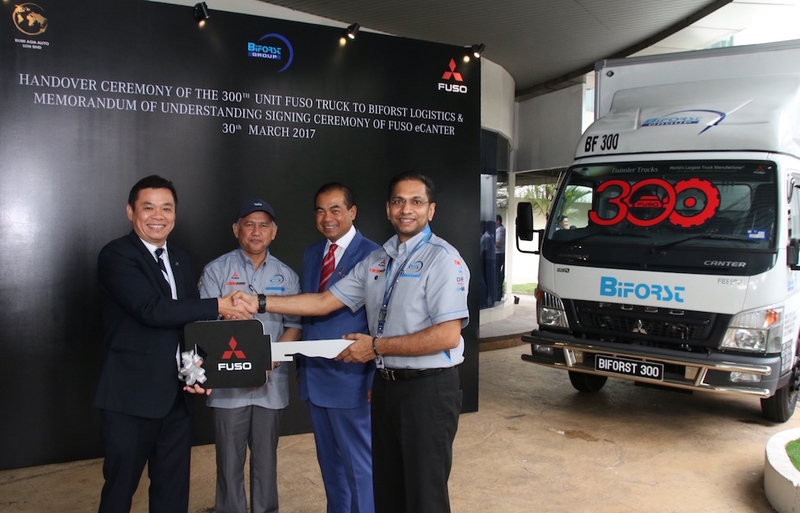 Biforst Logistics is set to gain first-mover advantage in acquiring the electric-powered commercial vehicle upon the official launch of the FUSO eCanter in Malaysia. “MBM CV is a long-time trusted partner of the nation’s haulage and logistics industry. 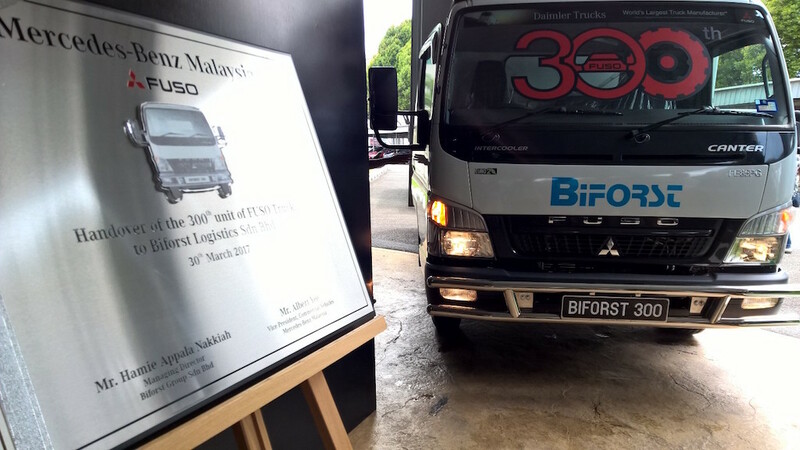 The MoU signing with Biforst Logistics today reaffirms our commitment to the Malaysian market to continue providing trucks of the highest quality that offer reliability and economic efficiency. This MoU also demonstrates our support of the Malaysian government’s aspirations of becoming an energy efficient vehicle (EEV) hub in line with global standards, and commitment to contribute towards reducing carbon emissions in the transportation sector,” added Yee. Biforst Logistics is currently subscribed under Mercedes-Benz Services Malaysia’s customised total financing solution packages, Hire Purchase Classic and Hire Purchase FlexiPay Payment Holiday. 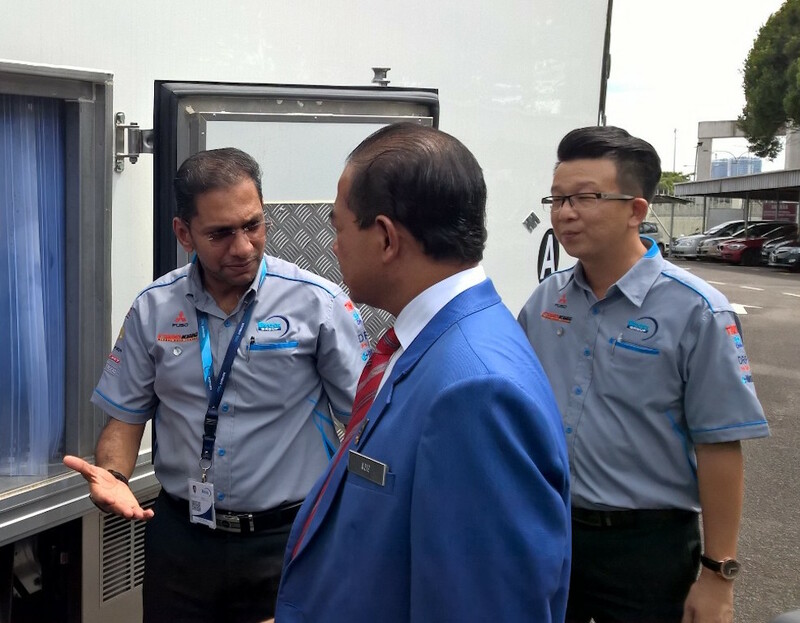 Since 2013, Mercedes-Benz Services Malaysia has financed more than 200 units of FUSO Trucks. In addition, Mercedes-Benz Services Malaysia provides Biforst Logistics’ comprehensive insurance protection underwritten by Allianz General Insurance Company (Malaysia) Berhad and AXA Affin General Insurance Berhad to further safeguard their FUSO trucks from any unforeseen incidents and economic losses. With a nationwide network 55 FUSO dealers and 44 FUSO service facilities, MBM CV and its dealer partners continue to offer peace of mind and convenience to its customers nationwide. For more information on FUSO vehicles, Mercedes-Benz Malaysia Commercial Vehicles and Mercedes-Benz Services Malaysia, visit www.mercedes-benz.com.my, www.fuso.my and or call 03 – 8074 1188. To learn more about Biforst Logistics’ scope of services, visit http://www.biforst.com. 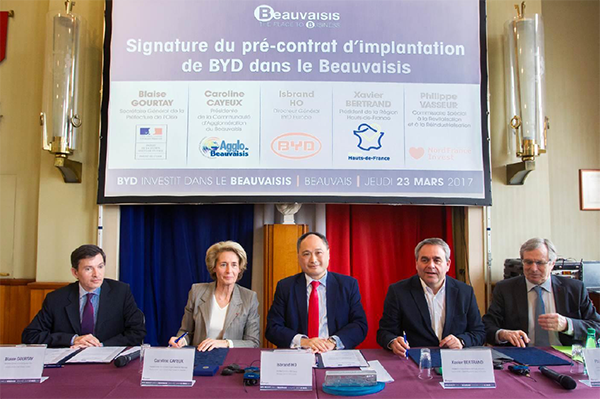 Chinese Electric Bus manufacturer BYD recently announced its decision to invest €10 million in a site in the town of Allonne, near Beauvais, in Hauts-de-France to build a new assembly site. The project calls for around 100 jobs to be created in the initial phase. The production facility will occupy 32,000 sq m of a parcel totaling nearly 80,000 sq m, and will assemble up to 200 vehicles a year—single-deck buses and coaches—in its first phase. 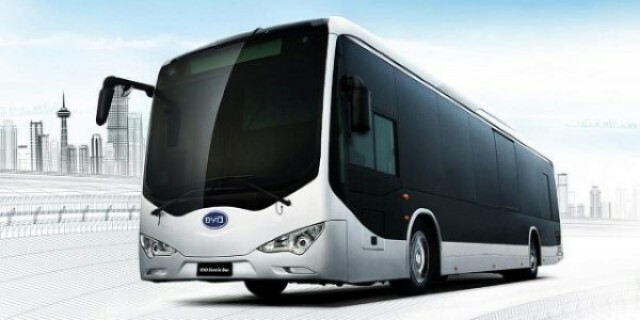 Other vehicles may be added as BYD expands its product line. Production is scheduled to get underway in the first half of 2018. In addition to bus assembly, BYD plans an after-sales unit for maintenance and repairs, as well as a logistics center for spare parts. In the longer term, a test center for batteries could be added. In 2016, Scania saw a significant uptake in business relating to sustainable transport. The increase reflects a growing demand for both products and services. The number of vehicles that Scania sold that run on alternative fuels and hybrids increased by 40 percent in 2016, a proof point of the company’s efforts to lead the shift towards a sustainable transport system. In total, close to 5,000 such vehicles were sold in 2016. “The demand for vehicles that support the shift to sustainable transport is growing and so is the demand for services that support fleet owners in reducing fuel consumption, and consequently also both carbon emissions and cost. This proves that sustainability and profitability go hand-in-hand,” says Henrik Henriksson, President and CEO of Scania. Almost 40,000 of Scania’s customers’ drivers were trained in fuel-efficient driving in 2016. This is a year-on-year increase of 30 percent. Ecolution by Scania is another area that has shown significant growth. A consultancy service that on average saves 12 percent in fuel and CO2 emissions for customers, the number of Ecolution by Scania contracts signed in 2016 increased by 37 percent from 2015, to more than 2,700. The TraXon automatic commercial vehicle transmission system from ZF has broken into a major international market: It is going into volume production in Chinese manufacturer Foton’s new Auman EST-A. This truck is designed specially for long-distance traffic. 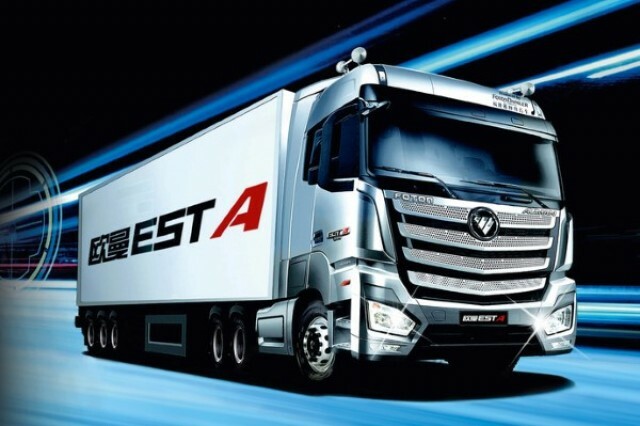 A celebration in Beijing last weekend marked the official market launch of the “Chinese Truck of the Year.” The transmission was extensively adapted for the Chinese market prior to volume production. This involved close cooperation between teams from ZF in Friedrichshafen and Hangzhou as well as Foton in Beijing. Also integrated in the Auman EST-A is the new AIRTRAC rear axle system ZF developed specifically for heavy trucks. This air-sprung axle system not only prevents damage to loads and road surfaces, it also improves driving comfort. “Foton is one of the largest commercial vehicle manufacturers on the Chinese market,” explains Fredrik Staedtler, who is responsible for the Commercial Vehicle Technology Division at ZF Friedrichshafen AG. “So we’re especially proud that the Auman EST-A will feature cutting-edge ZF technology in the future.” Foton is the first Chinese customer for the TraXon automatic transmission system, which ZF launched for volume production in 2015. 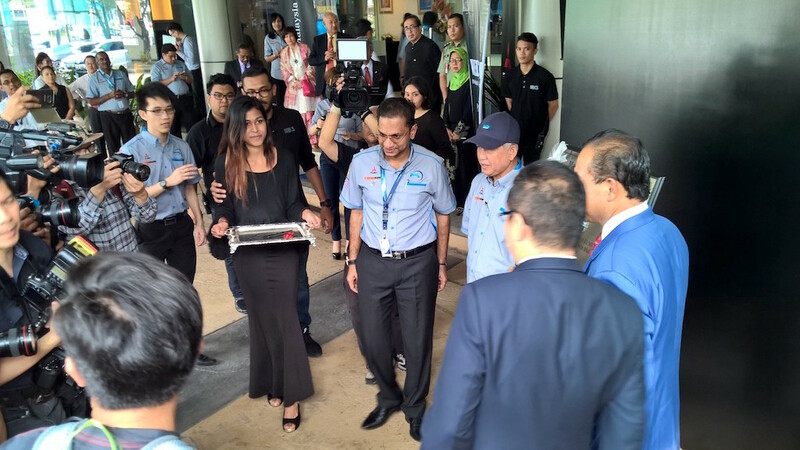 The AIRTRAC rear axle system will also be used for the first time by Foton. The basic transmission model, which comes with 12 or 16 gears, offers extremely high efficiency – primarily through its ability to handle up to 3,400 Nm of torque (overdrive version), its high transmission-ratio spread, its energy conversion efficiency of up to 99.7 percent and the outstanding, best-in-class power-to-weight ratio of 12.89 Nm/kg. Furthermore, it features ZF’s innovative electronics, including software, combining the predictive shifting strategy, PreVision GPS, as well as a rolling and rock-the-vehicle-free function. Apart from TraXon, ZF is also supplying its optional integrated transmission brake Intarder to Foton. The wear-free brake system provides 90 percent of all braking without using the service brake. That increases safety, decreases wear on the service brake, thus reducing maintenance costs and downtimes, and also protects the environment by avoiding brake dust. Both the TraXon transmissions and the Intarders are produced in Friedrichshafen and shipped directly to the Foton production facility in Beijing. ZF also produces its new AIRTRAC air-sprung rear axle system for the Foton heavy truck. Besides high driving comfort, its main benefit is that it helps preserve road surfaces. Its modular design makes ZF AIRTRAC suitable for almost any conventional axle variant, from double axle to triple axle solutions with one or two driven axles. The rear axle system, which uses ZF’s conventional chassis components and dampers, was developed as well as tested at the Dielingen location and will be produced directly in China. 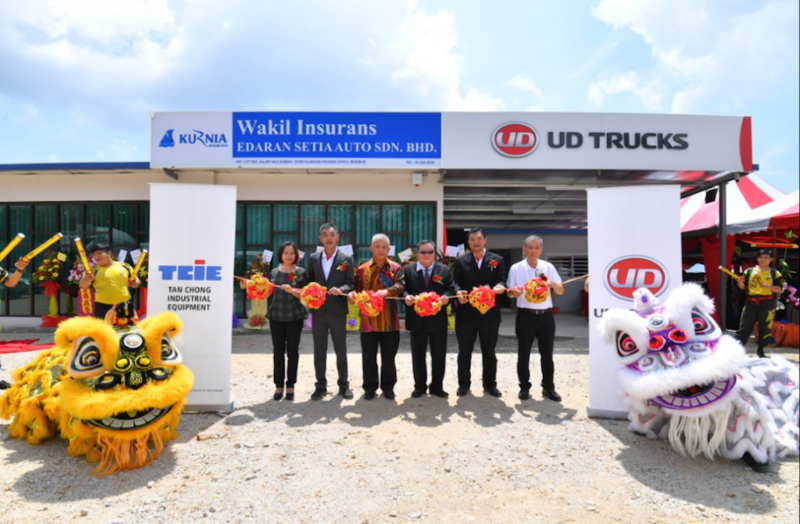 Tan Chong Industrial Equipment (TCIE), the sole distributor of UD Trucks in Malaysia has appointed Edaran Setia Auto Sdn Bhd as the sales dealer for the truck brand with the official opening of the newly built dealership here. 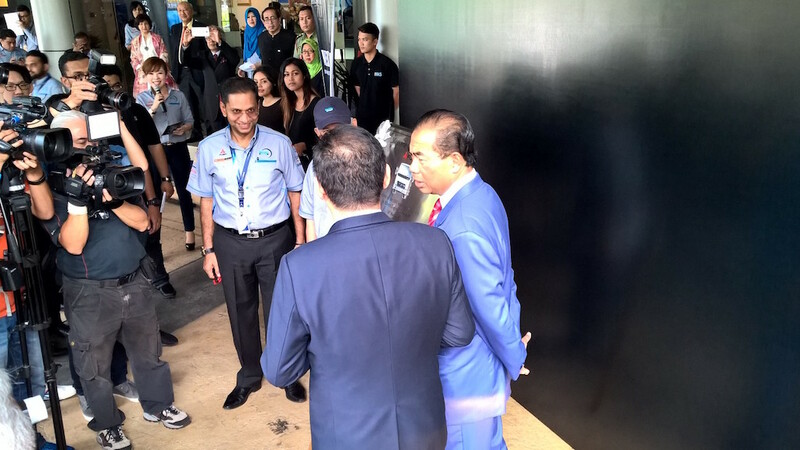 Edaran Setia Auto’s newly constructed one-acre dealership on Jalan Haji Ahmad comprises of a sales showroom and an administrative office. Identified as a Special Economic Zone (SEZ) in 2009, Kuantan’s strategic location plays an important role in the logistics sector and this is an important factor to the company. With over 25 years of experience in the commercial vehicle industry, Edaran Setia Auto aims to cover the East Coast region focusing on delivering the best sales experience to a wide range of industries such as construction, mining, trading and transportation. The Quester 8L comes with an all-new cab driveline, electronic architecture and fuel-saving features. Launched in May last year to overwhelming response, the Quester 8L comes in 4×2, 6×2, 6×4 models, complementing the existing 11L range of 4×2, 6×2, 6×4 and 8×4 models. 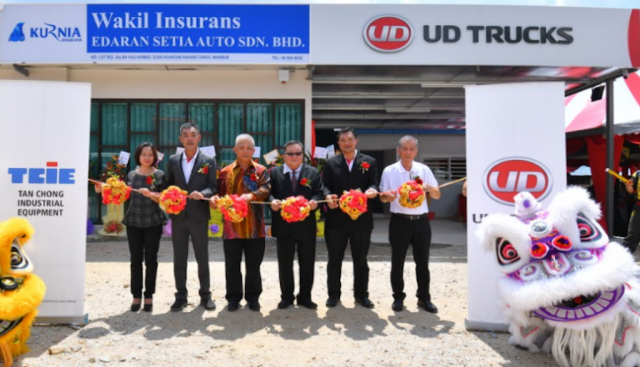 In addition to sales, Edaran Setia Auto’s dealership will also provide road tax and insurance renewal services; permit applications, vehicle inspection, maintenance, repair and painting; as well as spare parts sourcing. As part of TCIE’s sales package, customers will enjoy a year’s free maintenance on their UD Quester units and a two-year vehicle warranty. 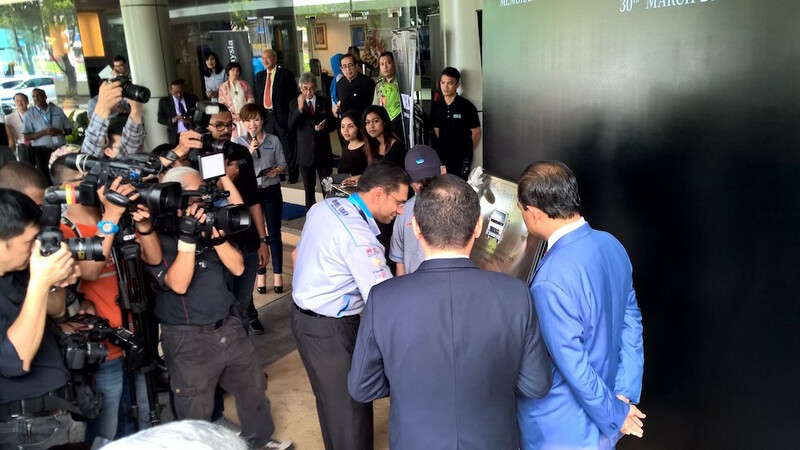 TCIE has a total of 42 service centres nationwide including Sabah and Sarawak. In addition, TCIE is also providing special booking promotion to all UD Quester models booked within two weeks of Edaran Setia Auto’s grand opening. Mercedes-Benz Vans Sales Germany has symbolically handed over the first batch of a total of more than 2100 vans – scheduled for delivery in the 2017 fiscal year – to Europcar, Europe’s largest vehicle rental provider. The demands by customers for rented vans can vary widely, depending on the intended area of application: transporting cartons, crates and general cargo, gravel, sand, construction rubble, fruit and vegetables or workers and their tools to the next construction site, make very different demands on the vehicle. The delivered vans belong to a total of 50 special-purpose vehicles – included for the first time in a Europcar order – with which the rental company wishes to extend its range of offers in the field of van leasing to meet such special customer requirements from the commercial sector. The vehicles are intended for use as rental vehicles on the German market. The special-purpose vehicles include in particular variants of the Mercedes-Benz best-seller and all-rounder, the Sprinter, equipped with body solutions for special applications in the logistics and construction industry. Some of the vehicles are equipped with a Cooler Fitzer refrigerated body from Kiesling or a refrigerated box body from Kerstner for the transport of food and other heat-sensitive goods. The Sprinter with a three-way tipper body from Dautel is the specialist for the construction site. Other vehicles are supplied as versatile platform trucks with crewcabs, equipped with tarpaulins and bows. All the Sprinter special-purpose vans are 316 CDI models powered by 120 kW (163 hp) four-cylinder diesel engines (fuel consumption combined: 7.2 l/100 km; combined CO2 emissions: 187 g/km). These large vans are accompanied by the Vito Mixto 116 CDI with seating for up to six people and a great cargo volume (fuel consumption combined: 6.3 l/100 km; combined CO2 emissions: 166 g/km). 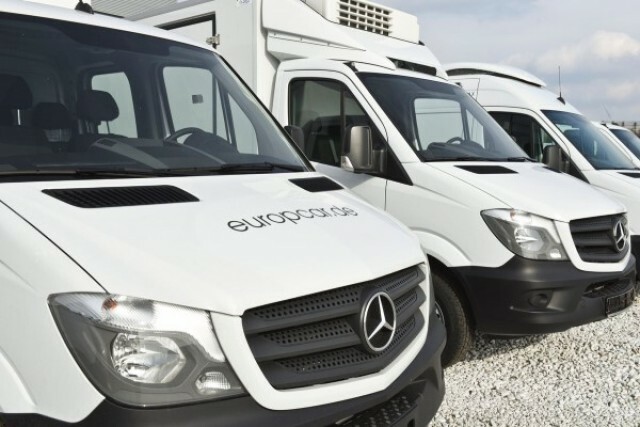 The special-purpose vans are to be initially deployed in the rental business of Europcar in Berlin and Hamburg on a trial basis, and then, if there is sufficient demand, at other German locations. The different body solutions for special-purpose vans show the Mercedes-Benz Sprinter to be the epitome of a multi-talented vehicle in commercial operations. Not only does it enable a choice among a wide range of variants and optional equipment items, it also offers a great spectrum of conversions and body solutions from one source. With a cooling capacity down to a frosty minus 18°C, the COOLER FLITZER refrigerated bodies made by Kiesling and based on the Sprinter chassis can show every heat wave a cold shoulder, and thus make the Sprinter the special-purpose van for deep-frozen and cooled products. The side doors enable swift loading and unloading, not only saving time and physical effort, but also reducing loss of cooling to a minimum. The refrigerated vehicles from Kerster, the specialist for refrigeration systems and insulated bodies, are based on the Sprinter high-roof panel and guarantee that heat-sensitive goods are delivered safely and fresh to the customer. The aerodynamic cooling unit on the roof with powerful outlet nozzles provides optimum, swift distribution of cold air in the load compartment. The whole body is easy to clean, as is the aluminium floor tub. The three-way tipper body manufactured by Dautel makes the Sprinter even more multi-faceted in every sense of the word. Made from aluminium, the Dautel tipper combines low weight with a high payload, making it adequate for the transport of light bulk goods such as sand, gravel, etc., as well as for the transport of piece goods. An electrohydraulic drive and a hydraulic cylinder ensure the necessary lift force – a true cost benefit, since a transmission-mounted PTO thus becomes unnecessary. The Vito Mixto is equally impressive both as a crewbus and as a panel van. It can transport people and goods at the same time – economically, flexibly and reliably. When fitted with the optional twin co-driver’s seat and three-seater bench seat in the passenger compartment, the Vito Mixto can transport up to six people to their workplace. The extra-long variant even boasts a load compartment volume of up to 4.1 m3 available behind the bench seat in the passenger compartment. 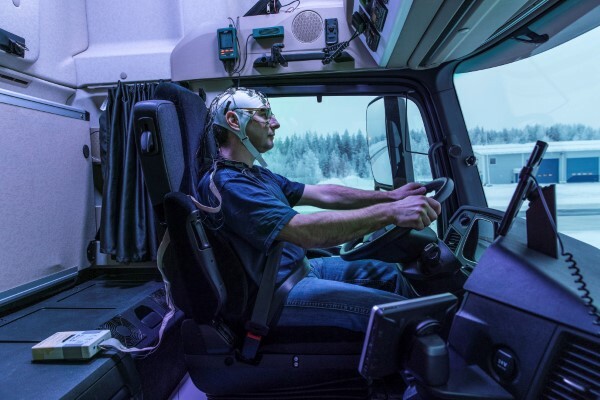 Does the biological effect of light have a positive influence on the well-being and performance of truck drivers? A research team from Daimler has been exploring this interesting question in the darkness of Finland’s polar night. Light is one of those things that most people don’t give a great deal of thought to – provided that they aren’t suffering from a lack of light themselves. And yet light dictates how life on Earth is organised. Among other factors, the shift from day to night and back again provides structure as a short-term time cycle, as do the changing seasons. Evolution means that a number of internal clocks have adapted to these circumstances and these help to synchronise our circadian rhythms. What is particularly important in this context is regular switching between day and night. For many years, scientists have been researching the complex relationships between the availability of biologically effective light and the physical and mental states of human beings. Various related health problems have been defined. One of the most common is seasonal affective disorder (SAD). A lack of light is a serious problem for many people in the countries of Northern Europe, for example, where it barely gets light during the winter months and this can result in poor mood, reduced performance and a lack of motivation. Light therapy is a standard method of treating these symptoms medically and of successfully combating them. A lack of light is a serious problem for many people in the countries of Northern Europe, for example, where it barely gets light during the winter months and this can result in poor mood, reduced performance and a lack of motivation. Light therapy is a standard method of treating these symptoms medically and of successfully combating them. The results of an initial series of experiments with engineers from the test drive department were unambiguous. The subjective condition of all test subjects improved significantly under the influence of an additional dose of light, regardless of the time of day. Another finding proved surprising: the test drivers with more daylight in the cab drove more economically. At the end of the two-week cycles, the individual drivers were interviewed, having previously recorded their subjective impressions. 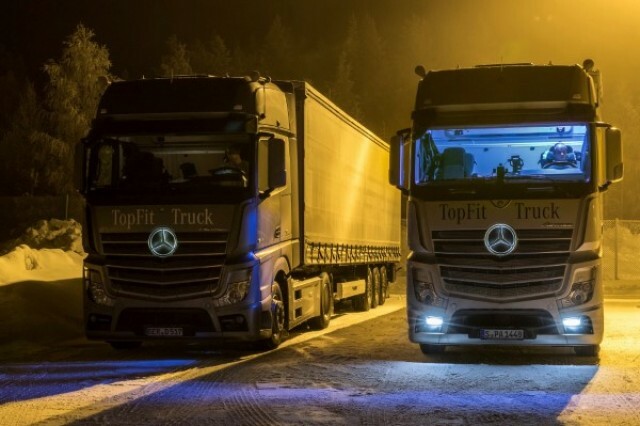 Richard Schneider and Philippe Strasser, two truck test drivers for Daimler, spent time in the Arctic Circle at the darkest time of the year, just before the winter solstice. Both of them expressed enthusiasm for Daylight+ separately. 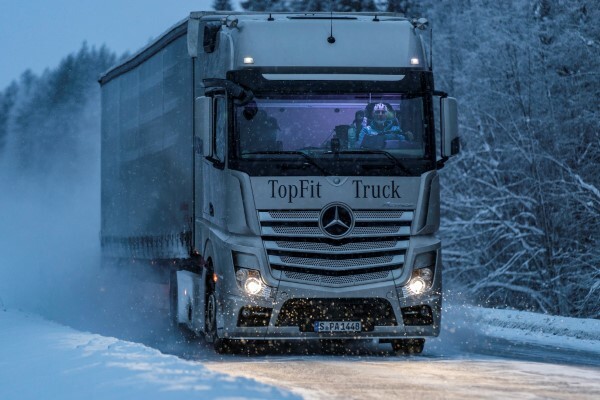 Feedback from the truck test drivers also provided a new insight for Siegfried Rothe. The drivers consistently reported that they perceived the space inside the cab to be considerably more pleasant with the additional light fitting. Volkswagen Truck & Bus GmbH — which houses the MAN, Scania, Volkswagen Caminhões e Ônibus, and RIO brands — can look back on 2016 as a successful fiscal year. Sales of commercial vehicles increased by 3 % to around 184,000 vehicles. This enabled the Group to turn in a successful performance despite a regionally difficult market environment. With the acquisition of a 16.6 % stake in US manufacturer Navistar and systematic expansion of its Lead Engineering concept, which bundles the development capacities of the brands, Volkswagen Truck & Bus marked the first key milestones in its Global Champion strategy. It also saw the launch of digital brand RIO, which aims to customize and better shape the future of logistics with a cloud-based platform. The medium- and heavy-duty truck business saw a 2 % improvement year-on-year. MAN, Scania, and Volkswagen Caminhões e Ônibus sold around 165,800 trucks combined, with the trend in individual regions being mixed. In Western Europe, Volkswagen Truck & Bus’s brands recorded a gratifying year-on-year increase of 9 % as a result of the ongoing economic recovery. The trend in Italy, France, and the Netherlands was particularly impressive. Truck sales in Central and Eastern Europe especially increased significantly, recording growth of 21%. By contrast, sales in Brazil declined due to market-related factors in a difficult economic environment: at 16,300 units, 24 % fewer trucks were sold than in the previous year. The bus business performed well for the Group in 2016. With a total of 17,800 buses, the Volkswagen Truck & Bus brands sold around 4 % more than in the previous year. 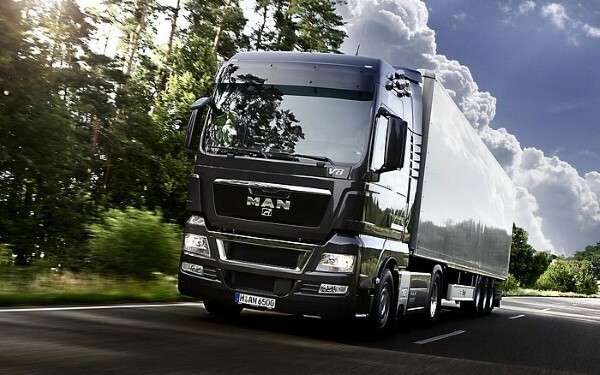 MAN Truck & Bus reported total sales for 2016 of 83,200 vehicles, which corresponds to growth of 5 %. 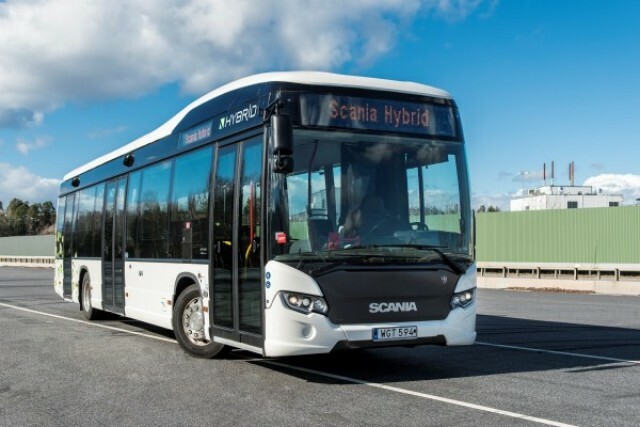 Scania sold 81,400 trucks and buses (+6 %) in the same period. Owing to the difficult economic situation in Brazil, Volkswagen Caminhões e Ônibus saw its sales decline to 20,400 units (–17%). Volkswagen Truck & Bus took an important step in implementation of its Global Champion strategy by climbing aboard Navistar, which provides the Group with access to the key North American market. The acquisition of a 16.6% stake in the US commercial vehicle manufacturer is more than a financial investment. In the long term, Volkswagen Truck & Bus is aiming for a return on sales of 9% over the industry cycle. The Group also intends to leverage synergies of up to €1 billion a year from 2025 onward, among other things. “As a result of the high potential from closer cooperation of the brands in purchasing and joint development, we are confident that we will achieve these ambitious targets. This year, we expect Russia in particular and Brazil in the second half of the year to have a positive impact,” declares Volkswagen Truck & Bus CFO Matthias Gründler. Volkswagen Truck & Bus GmbH is a wholly-owned subsidiary of Volkswagen AG and a global leader in commercial vehicles with its brands MAN, Scania, Volkswagen Caminhões e Ônibus and RIO. In 2016, the brands of Volkswagen Truck & Bus sold a total of 184,000 vehicles. 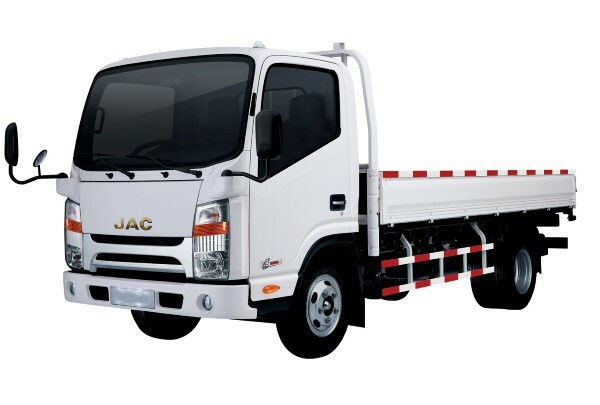 Its product range includes light commercial vehicles, trucks and buses that are manufactured at 25 sites in 17 countries. As of December 31, 2016, the Company employed 77,000 people across its commercial vehicle brands worldwide. The Group is committed to driving transportation to the next level — in terms of products, services, and as a partner for its customers. On December 23, 2016, the Ministry of Environmental Protection (MEP) of the People’s Republic of China released the final rule of the Stage 6 Limits and Measurement Methods for Emissions from Light-Duty Vehicles ( also known as China 6 standard or China 6). The new standards apply to light-duty vehicle categories up to 3,500 kg of maximum mass per the European regulatory classification) powered primarily by petrol or diesel. It is said that the China 6 standard will take effect beginning on July 1, 2020. A multi-component compliance program involving agency- and manufacturer-run emission tests during pre-production, production, and in-use stages, and China’s first emission warranty and defect reporting program. This policy update provides further details about some of these features, a comparison with emission regulations in other major markets, and a summary of the impact of this rule. 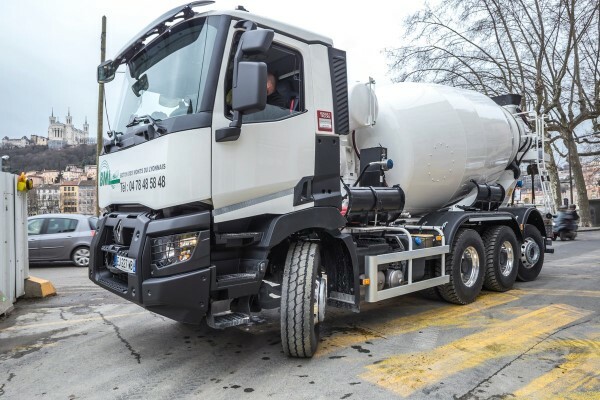 The keys to a Renault Trucks C8x4 Tridem were handed over to BML, the specialist in ready-to-use concrete in the Auvergne-Rhône-Alpes region in France earlier today. It is said that this vehicle is intended for use on worksites in city areas, in particular the Saint-Antoine car park project in Lyon. The Renault Truck C8x4 Tridem has a short wheelbase of 3200 mm and a fourth steering axle that brings its turning radius down to 900 mm, 10% better than a classic 8×4 and significantly boosting its manoeuvrability. 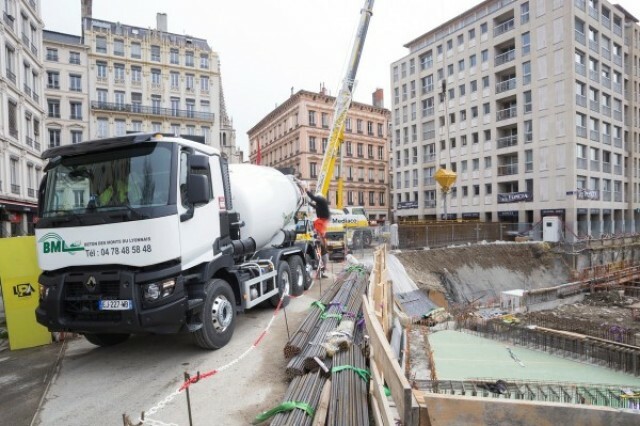 “Our key issue was handling, which is why we wanted a vehicle designed for work on urban projects, which standard worksite trucks often find difficult to access,” explained Philippe Ville. For Renault Trucks, it is essential that customers are offered transport solutions that are fully suited to the work they do. The Renault Trucks C8x4 Tridem provides an ideal response to the requirements of concrete companies, largely due to its 9 m³ mixer. “The air suspension system on this truck provides our drivers with really comfortable working conditions, enabling them to easily and automatically raise the vehicle to adjust the concrete tipper,” explained BML Director, Philippe Ville. When empty, the back steering axle saves fuel and reduces tyre wear. When loaded, it significantly improves the grip of the vehicle.